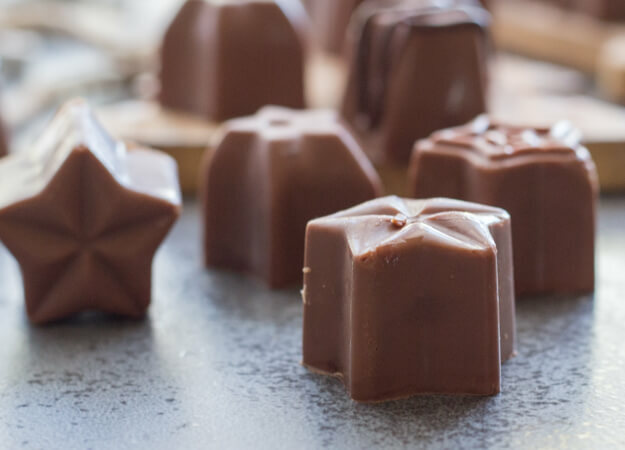 Homemade Chocolate Mint Filled Chocolates are the perfect creamy decadent treat. 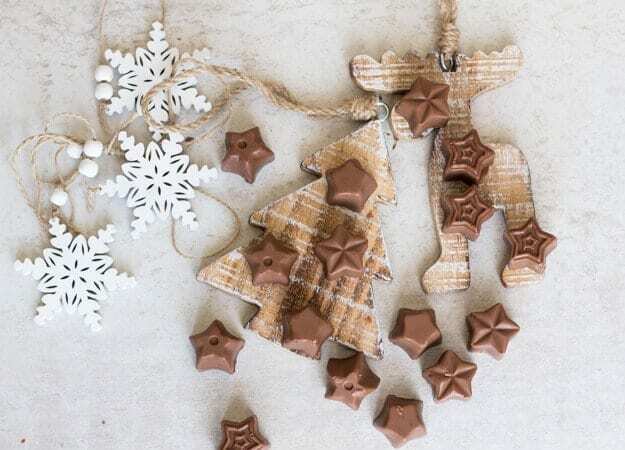 Homemade chocolates never tasted so good. I have been dying to make my own Mint Filled Chocolates since I became addicted to these, oh I would say about 30 years ago. There is a really famous Chocolate Company in Canada that sells two of my favourite bars, French Mint and Frosted Mint. One of these shops was located right in front of my face in the train station. 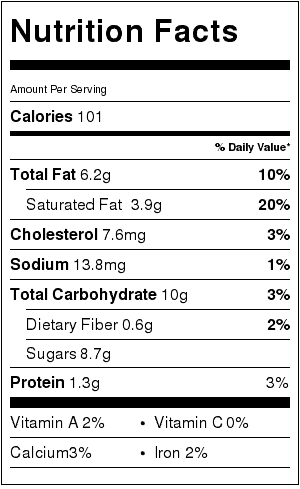 How many times would I indulge myself with one of these bars on my way home from work? I love the combination of mint and chocolate. And these bars were and are so creamy and delicious. So when I went to Toronto last summer, my sister gave me two bottles of extract, one was Peppermint. Of course the first thing I thought was, now I am going to make Mint Chocolates! Well I knew they would have to be really creamy and this time I would use Milk Chocolate instead of Dark Chocolate, which I used for last year’s Chocolates. 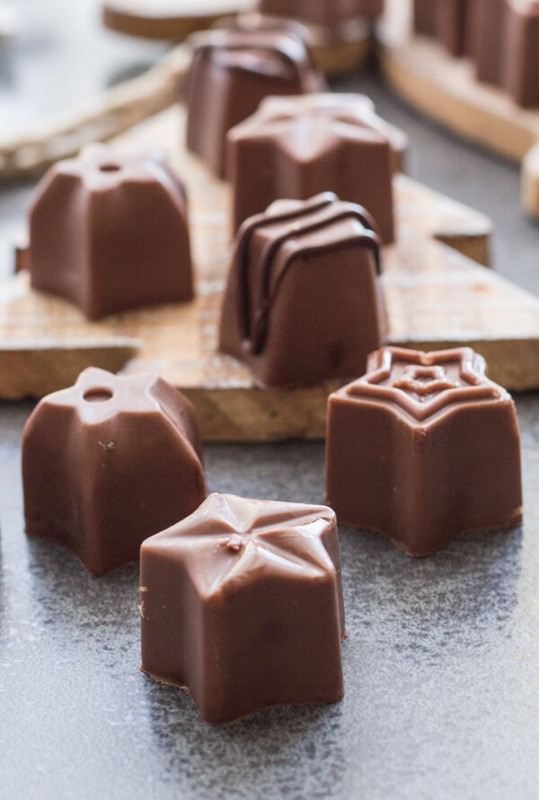 I found some really cute star molds made out of silicone that are perfect for making chocolates. When the chocolates become hard they just pop right out. I lined the molds with a light coating of chocolate, flipped the mold over to let the extra chocolate drain. While it was draining I made a filling of milk chocolate, butter, whole cream and of course a little Peppermint Extract, and let it cool. I filled the mold, then covered them again with some more melted chocolate, refrigerated them until firm and popped them out. I served them as a an extra dessert and they were gone in minutes. They are a little milder in Peppermint taste then my favourite store bought but I actually liked that. I used a 16 star mold and I had extra filling and melted chocolate left over. So what did I do? I made Truffles! I mixed the two together, refrigerated it over night, so it was really hard. I formed balls (or as close to a ball shape as I could) dipped them in some extra melted chocolate and let them harden in the fridge. Let me tell you these were really good too! 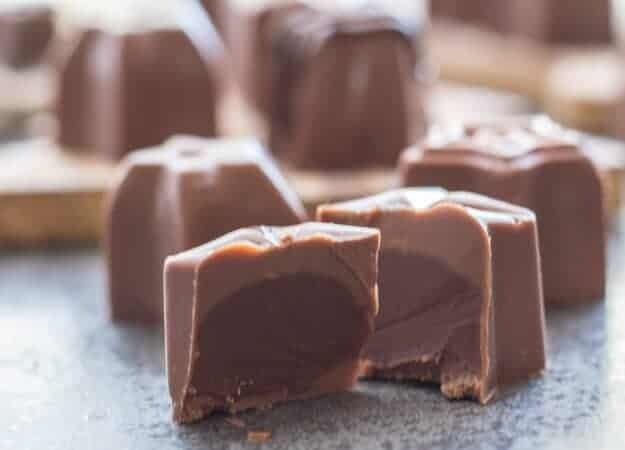 So if you are looking for a few Chocolate Candy recipes this Christmas why not try a little Italian Torrone, Baileys Truffles or even an easy Bark. Because really, it isn’t Christmas without a little Chocolate. Enjoy! 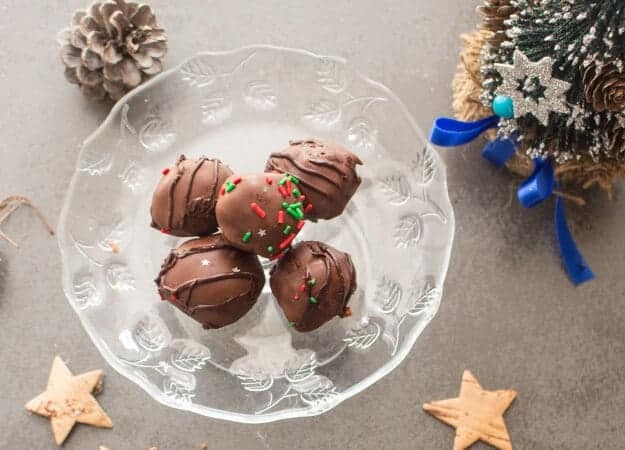 An easy creamy Peppermint filled chocolate candy recipe. 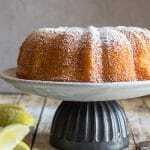 Candy molds make it fast and so yummy. On low heat place the milk chocolate (broken into pieces) and butter in a small-medium bowl over a pot of water (make sure bowl does not touch the water). 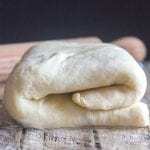 Melt until smooth, stirring often with a fork or whisk. Remove from heat, let cool down (10-15 minutes), and coat the chocolate molds swirling it around (I used a pastry brush to fill in the empty spots) and then tip it over to empty out the excess chocolate (I let it drain for approximately 15-20 minutes over a cookie rack, this chocolate can be used for the topping), place the mold in the freezer for approximately 10 minutes, remove and fill any empty spots with some more melted chocolate. 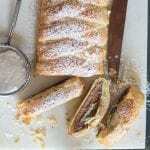 This time refrigerate while making the Chocolate Filling. On low heat place the milk chocolate (broken into pieces), cream and butter in a small-medium bowl over a pot of water (make sure bowl does not touch the water). Let sit approximately 20 minutes until cooled and thickened, then add the peppermint extract, stir to combine. Remove mold from the fridge, spoon the mint/chocolate filling into the molds 3/4 full, tap mold down a few times on counter top to remove air bubbles, top with remaining melted milk chocolate, and again tap mold lightly on counter top to remove air bubbles remove excess chocolate with a spatula and refrigerate 30 minutes to 1 hour until firm. 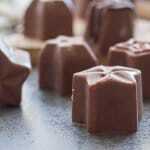 Remove chocolates carefully from mold and serve. Enjoy! Mix left over melted chocolate and filling, refrigerate overnight or until firm. 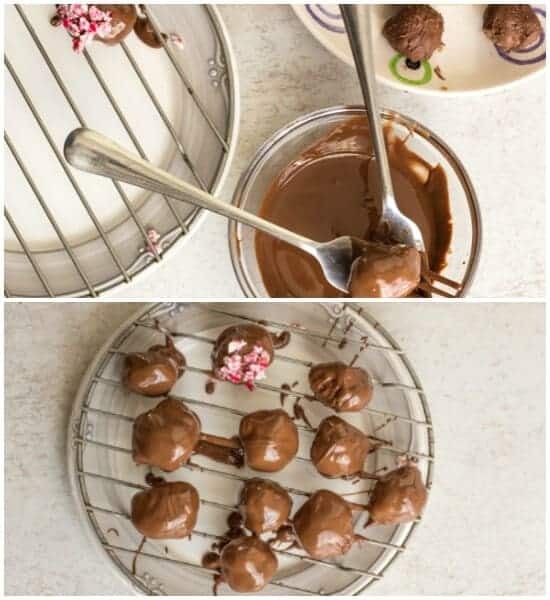 Form into balls, dip in melted chocolate of choice, refrigerate until hard. Serve. Do you have a recipe using dark chocolate instead of milk? Hi Debby, you can just substitute dark chocolate for the milk chocolate and it will work. Hope that helps. do you know how long they would last. Hi Karen, they can last up to a month in the fridge or 2 months in the freezer. Hope that helps. Have a great weekend. What does it mean by the whole cream? Is there a different name for it? Hi Kat, whole cream is also whipping cream or heavy cream. 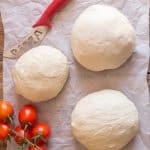 It has to have at least 30% fat. Hope that helps. I love chocolate and I tried making these and they ended up being perfect! thanks! Hi Sheila, I am sure the white chocolate and green food colouring would work, let me know how they turn out. Have a great week.